Nelson Blake Ainsworth Bascome was a well known parliamentarian and community worker. Minister Bascome attended Prospect Primary School, Whitney Institute and Bermuda College. He earned a Masters Degree in Human Resource Development from Webster University, a Bachelor of Arts Degree in Sociology at Morgan State University in Baltimore, and an Associate Degree in Dental Technology at Kerpel School of Dental Technology in New York. Minister Bascome began his professional career as a Residential Treatment Officer in the Bermuda Government, and later joined Benedict Associates as an Employee Assistance Counselor & Consultant. In 2004 he joined Focus Counseling Service. He was one of the first Bermudians to achieve certain professional designations in the addictions field, and served on related boards including the Bermuda Addictions Certification Board and the Bermuda Social Work Council. Minister Bascome was well known for his community work with numerous organisations including Friswell’s Hill United, Pembroke Community Club Drum Corps, Focus Counseling Service, Single Parents in Action, Community Advice Center, St. Monica’s Action Committee, 100 Black Men of Bermuda and the Venturilla Summer School for Boys. Also a supporter of sports, he coached the Devonshire Colts Junior Soccer team, and served on the executive of the Bermuda Football Association. 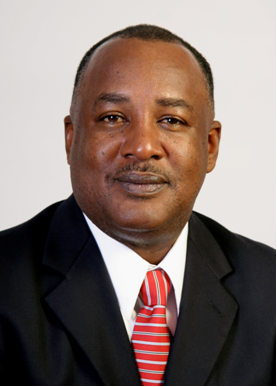 He represented Pembroke East Central in the House of Assembly from 1989 until his death in July 2009, serving in a ministerial capacity for the PLP. Married to Shirlene for 29 years, Mr Bascome was a father of three children; Nelson, Shirnae, and Madison. Minister Bascome died while on vacation in the United States in July 2009, at 53 years old. Tributes poured in for the Minister, from a range of government figures to former drug addicts that widely credited Minister Bascome with helping them overcome their addictions. His funeral was attended by thousands of people, with many lining the streets. Buried with full honours, his funeral procession left Alaska Hall led by the Bermuda Regiment band. Recognising Minister Bascome’s decades of service in the legislature the cortege paused outside the Sessions House entrance before continuing.